Local hero: Edith Kelly-Green of Lenny's Sub Shop. In 2004 Edith Kelly-Green was settling into retirement. 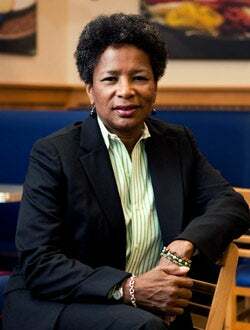 After almost 30 years with FedEx--ultimately serving as vice president and chief sourcing officer for FedEx Express at the company's Memphis, Tenn., headquarters--her days consisted of waking up early, reading at Starbucks and working on the finances of several nonprofits. A suggestion from her family prompted Kelly-Green to consider opening a Lenny's Sub Shop. "My daughter was a college sophomore at the time and said, ‘I eat there all the time. You have to invest!'" she remembers. "I knew the CEO and called him, thinking I'd just invest some capital. But he convinced me I'd be happier as a franchisee." She bought her first location near her alma mater, Ole Miss in Oxford, Miss., and in the last six years has added nine more stores near her Memphis home. But her sandwich empire hasn't been about making money--though she does that well--or about a second act. Instead, Kelly-Green got into the game hoping that her multi-unit business, the largest in the Lenny's chain, would help her family and her community. "I wasn't bored in retirement in the least," she says. "I just saw this as an opportunity to own a business and to create a legacy. To have something to pass along to my children, whether they want to maintain it or sell. But the overarching effect is that it gives me the chance to support people. It gives the citizens of Memphis a template. It encourages them to be in business for themselves, and to strive to be more than minimum-wage workers." We talked to Kelly-Green about her not-so-quiet retirement. Why did you go for multiple units? After I opened my first unit in Oxford, I decided I didn't want to be a one-location owner. I wanted to own enough so when decisions are made at least I would be consulted. If I was just one location out of 150, that wouldn't be the case. Not that I want veto power or anything, but if something major is going on, I want to get a phone call. I'm impacted by decisions more than single-unit owners. What role does your family play? My daughter, Jayna, who initially got me involved with Lenny's, will be graduating from medical school in 2013, so she's no longer involved--though she can make a sandwich if she has to. But my two sons, James Kelly and Ryan Green, are working full-time in the business. I've tried to loosely split the stores, but our roles overlap. The thing about a franchise is, once you solve one problem, you can apply it through all 10 stores, so there's lots of communication about how we're handling things. I try to create a sense of encouragement for employees and make them feel like they can own their own stores or manage multiple stores. I try to create a vision or a sense of opportunity for others. And I always want to create as many tax-paying citizens as possible. I don't own these businesses to pay off a mortgage; I'm financially secure. So I can be more lenient with employees. FedEx taught me how important training is and how important good employees are. When someone messes up, I have to ask myself, "How well were they trained?" I can afford to give people second chances, and sometimes third. Sure, I've been burned several times. But I've been surprised several times, too. How has being a CPA helped you run a franchise? As an accountant at FedEx, it gave me the ability to see the business overall. Everything eventually comes through accounting. At my franchises, I have to account for every penny. I look at the numbers every day; if there's a deviation, I investigate right away. Many entrepreneurs have great ideas, but most don't want to deal with administrative tasks like sales taxes and payroll deposits. Those details are the downfall of many small businesses. I'm maybe more comfortable with that. Most people just don't like dealing with numbers.